Alyssa Bergenson joined Arnoff in March of 2014. Alyssa brings with her over 20 years of Human Resources experience. After graduating from SUNY New Paltz with a B.S., Alyssa worked in a variety of industries including Healthcare, Engineering and Manufacturing. Her career has included responsibilities for the management of accounting, operations, purchasing, and safety, as well as all aspects of human resources. Alyssa is a Certified Human Resources Professional (SHRM-CP) and a Professional in Human Resources (PHR). 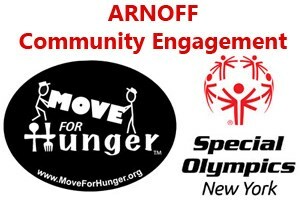 Her responsibilities at Arnoff include Strategic Planning, Recruitment, Workforce Development and Benefits and Training. Alyssa is a member of the Arnoff Executive Committee, Leadership Committee, Arnoff QAST (Quality and Safety Team), The NYS Business Council HR Council, Ulster County Chamber of Commerce and National and Local SHRM Chapters.